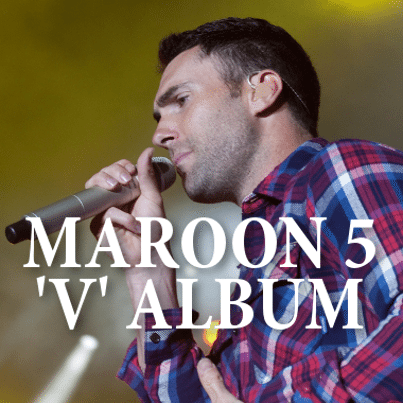 Ellen DeGeneres welcomed who she called “one of the most popular rock bands in the world,” Maroon 5, who performed their song “Maps” off their album V.
Maroon 5 lead singer Adam Levine had the audience rocking and then surprised them all with tickets to see Maroon 5 on tour. Earlier in her show, Ellen talked with Anthony Carbajal, who created a video in hopes of raising awareness for ALS, a disease that his grandmother, his mother, and now he have struggled with. At the end of the show, Ellen welcomed Anthony back out to sit down with her and told him that since he nominated her to do the ALS Ice Bucket Challenge, she was finally ready to accept. Before the walked over to do the challenge, Anthony wanted to take the time to say how thankful he and his family are and said it was life changing for the ALS community. They then walked over to the side of the set and Anthony told Ellen it was going to be colder than she thought. “No, I know how cold it’s going to be,” Ellen said. I’m not going to lie, it was pretty funny seeing Ellen soaked wet, with her hair mopping wet and flat on her head. She looked completely different and very funny! OF course it didn’t take long for her to take a hand through her hair to make it stand up again. They both let out a loud whoo and then the camera panned over to show Anthony’s mom with a smile on her face. If you weren’t smiling already after watching Ellen do the challenge, then seeing Anthony’s mom, who has ALS, smile so big, you were definitely smiling then. Ellen proceeded to challenge Kim Kardashian West, who will be on day two of her season 12 premiere. She also challenged Beyonce, which I found to be a bit random but here’s hoping she does it!